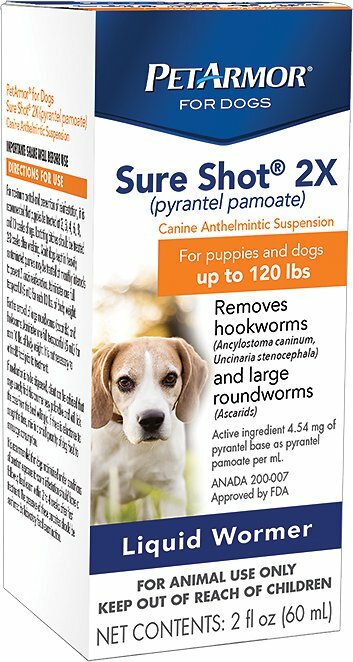 PetArmor Sure Shot 2X Liquid Wormer for Puppies & Dogs provides a single treatment for the removal of large roundworms (Toxocara canis and Toxacaris leonina) and hookworms (Ancylostoma caninum and Uncinaria stenocephala). This liquid wormer can also be used to prevent the reoccurrence of Toxocara canis infestation in puppies and dogs. 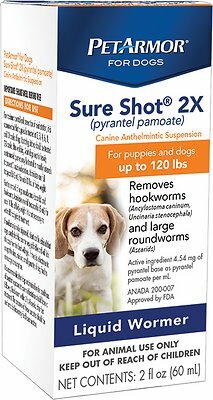 Available in a highly palatable formula, PetArmor Sure Shot 2X is easy to administer so you can keep your pup healthy and happy. 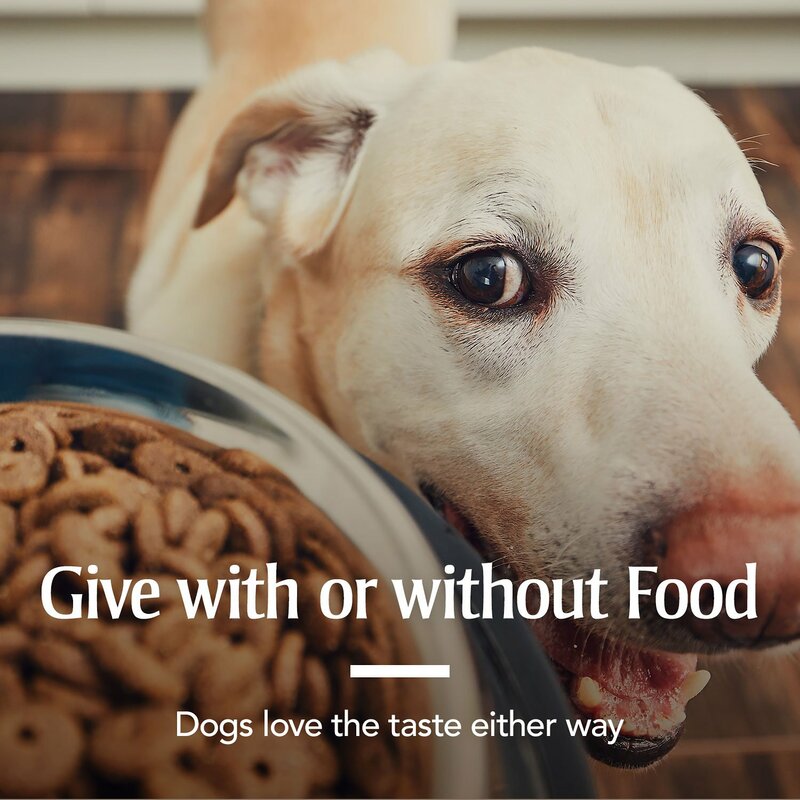 Worked great for our puppies and other dogs. I was very pleased that it did not make them sick and how easily they took it unlike other dog wormers. I bought it for my miniature pinscher puppys, and it didn't cause them to get sick or anything. I did have to do the math for 10 ounce puppys, but it wasn't hard. I would buy it again. My dog has never taken medicine well. She liked the scoop clean with every dose I've given her. We got two new puppies, age 5 weeks who had not received any worming at all. They were behind. We were concerned. The first dose was very effective. The pups tolerated well. The second dose was also effective but obviously didn’t have as many worms in their system. We just gave them their third week of treatment. So pleased with this product. Will definitely recommend. My dogs and litter of puppies found it to taste awful. The product may be effective, but not pleasant giving it to them. We switched to Nemex-2 which they love the taste of! Love that we can use one wormer for all our dogs of different sizes!! Order came quickly and was accurate. I have been using this dewormer for my pups and so far so good.